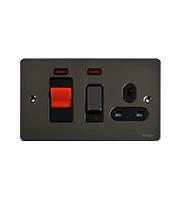 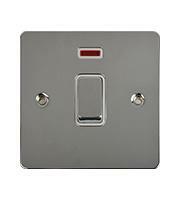 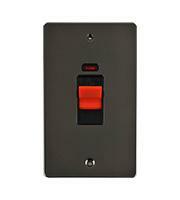 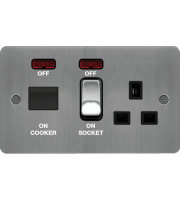 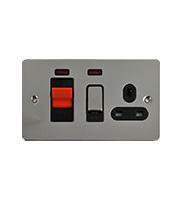 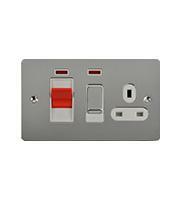 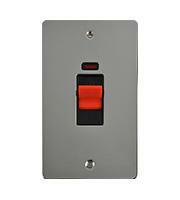 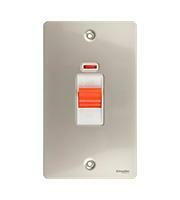 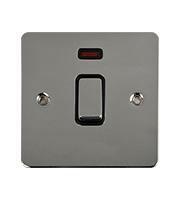 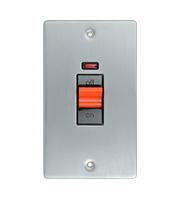 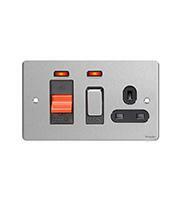 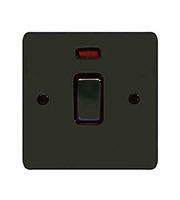 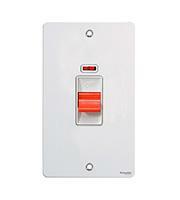 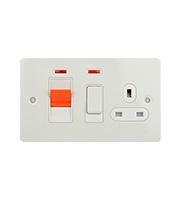 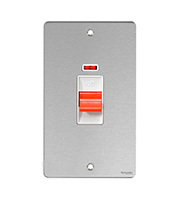 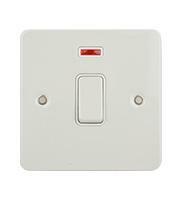 Save on professional installation costs with easy to use metal flat plate cooker switches. 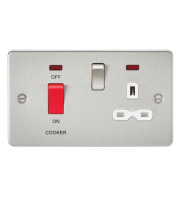 These user-friendly switches are simple to fit into your commercial kitchen, so you can do it yourself to save time and money. 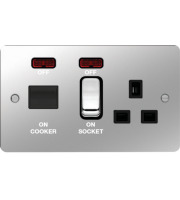 Busy commercial kitchens utilise large industrial cookers and appliances that need fail-safe power and fault-proof fittings. You can be sure the staff in your kitchen are always safe with the help of metal flat plate cooker switches that clearly indicate whether the cooker is on to avoid burns and other accidents. 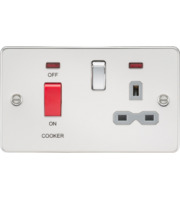 Your commercial kitchen is a busy space, and needs only the best electrical wiring and components to make sure everything runs smoothly and safely. 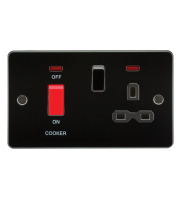 The durable metal flat plate cooker switches we carry are made by the most trusted names in the industry, so you can be sure of their absolute quality, style and performance. 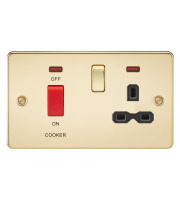 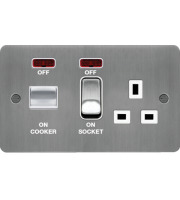 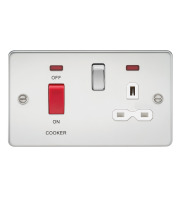 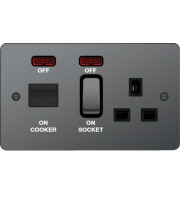 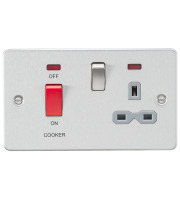 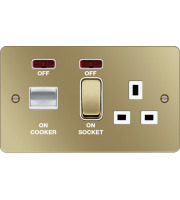 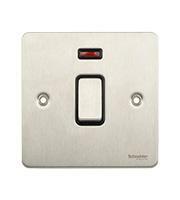 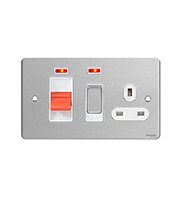 Many metal flat plate cooker switches enable end users to multi-task; products like the Schneider Electric Flat Plate 45A Cooker Panel, for example, comes with a 13A switched socket as well for double the convenience. 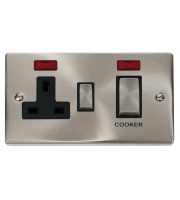 The brushed stainless steel construction is durable and long lasting, perfect for use in high heat settings like busy kitchens. 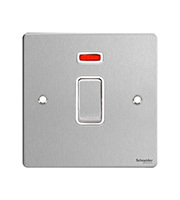 They are easy to wipe down too, so you can keep your switches clear of any dirt or grime to comply with health and safety regulations. 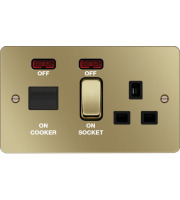 Metal flat plate cooker switches are not only stylish, but also come with safety features to help prevent accidents in the kitchen. Some models come fitted with dual neon lights that clearly indicate whether the appliance is on or off. 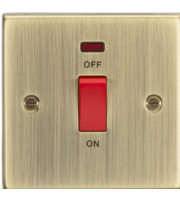 When it comes to safety of the electrical system in your restaurant, hotel or other food service establishment, don't leave anything to chance. 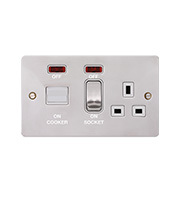 Get quality you can count on with metal flat plate cooker switches, available for less when you buy online with Direct Trade Supplies.